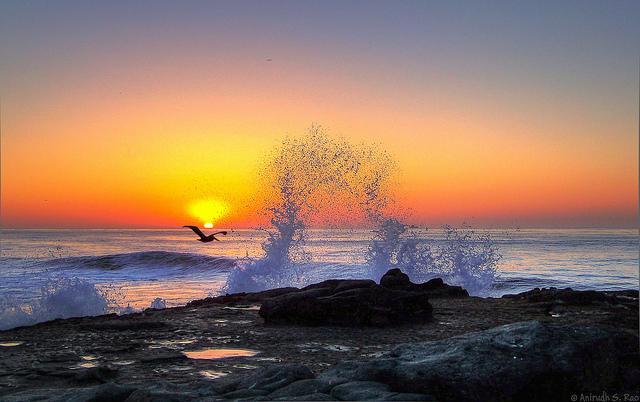 Golden California sunset; photo by Anirudh Rao on Flickr (noncommercial use permitted with attribution / share alike). Between California's explosive growth following the discovery of gold in 1848, the fields of golden poppies that appear each spring throughout the state, the golden gate bridge, and the clear, golden coastal sunsets over the Pacific - California truly is the golden state! Gold is also one of California's official state colors and the state mineral. 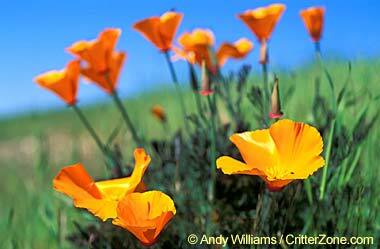 California poppies photo © Andy Williams / CritterZone: Animal - Wildlife - Nature Stock Photography (all rights reserved; used by permission).